Many newcomers feel compelled to make long-term arrangements immediately upon arrival in Canada, or even before departure. This may include signing a lease on an apartment or a contract with an employer, or purchasing a car. You don’t have to commit early if you don’t want to. There may be a better option. This article will explore a key concept to help you settle into your new surroundings on arrival in Canada: gathering local knowledge. Most leases in Canada run for 12 months or longer, and most entail a deposit. A lease is a contract, after all, and signing a lease places certain obligations on both the landlord (the lessor) and the tenant (the lessee), as well as certain rights. Oftentimes, newcomers to Canada who rush into signing a lease come to regret their choice. Maybe the chosen neighbourhood is too far from the workplace or transport links aren’t close to hand. Or maybe there is a dearth of good local restaurants or cafes, or the kids aren’t enjoying attending the local school, or the apartment itself has defects or noisy neighbours. Whatever the situation, there are options for testing a neighbourhood before committing to it. Since launching in 2009, Airbnb has become the go-to online space for renters and lodgers to rent short-term accommodation, and the service has deep roots across Canada. One distinct advantage of Airbnb is that many hosts take it upon themselves to act as a local tour guide for their guests. When deciding which host to stay with, read the reviews to see if this informal service is typical of the host – it may help you become acquainted with a neighbourhood, including local knowledge of hidden gems. Thinking of trying Airbnb? This link allows Moving2Canada readers to get a $45 discount on their first Airbnb booking in Canada! Subletting is a temporary arrangement whereby a leaseholder physically leaves an apartment or house for an agreed period and has the right to return when the sub-lease comes to an end. The subletter (i.e. the leaseholder) is neither the owner nor physical occupant of the apartment or house for this temporary period, but he or she is still responsible for the lease and has other responsibilities toward the sub-tenant (i.e. you). Subletting accommodation may be perfect for you and your family, if applicable, because not only do you get to try out a particular neighbourhood, but the accommodation will likely be fully furnished because the subletter has been living in the apartment or house and expects to return. With so many neighbourhoods to the horizon and beyond, how do you know which one is right for you? The good news is you don’t have to choose before or immediately upon arrival in Canada. This may be an option for newcomers arriving without dependents. By sharing accommodation, typically you would have a private room in a shared apartment or house, with common use of living areas, the kitchen, and bathroom. It is quite normal for people in Canada to share an address, even if they did not know each other well – or at all – beforehand. This is especially true closer to downtown city cores, where property values and rent is more expensive. In addition to saving a significant chunk on your monthly expenditure, there may be a range of other advantages to sharing accommodation on arrival in Canada. For starters, it may help you to create a new social circle, either with the people you share a home or through their friends and contacts, or both. If your roommates are local or speak English perfectly, this may also help as you settle into your new surroundings. Create a Moving2Canada account for the latest updates and special offers, and get a FREE copy of our Getting Started Guide! 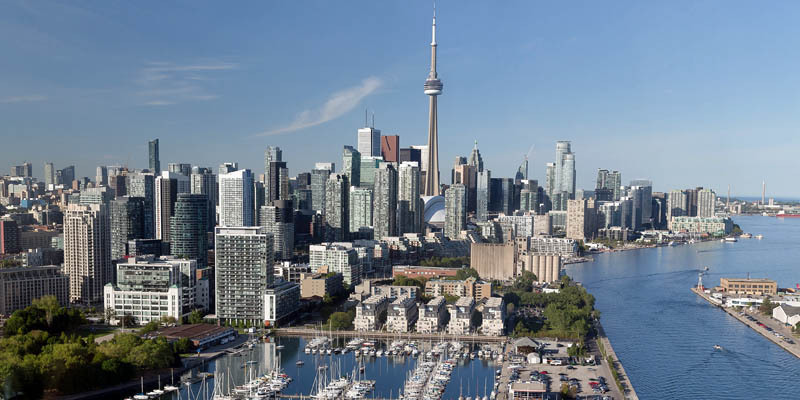 Newcomers to Canada’s major cities have plenty of options for getting from A to B, including public transit systems, dedicated bike paths, or owning a car. Over recent years, however, carsharing has been added to the mix. Different cities and carsharing providers offer a range of subscription models, allowing newcomers to make short-term use of a vehicle (having the right to do so is a prerequisite, of course, and you can learn more about that here). 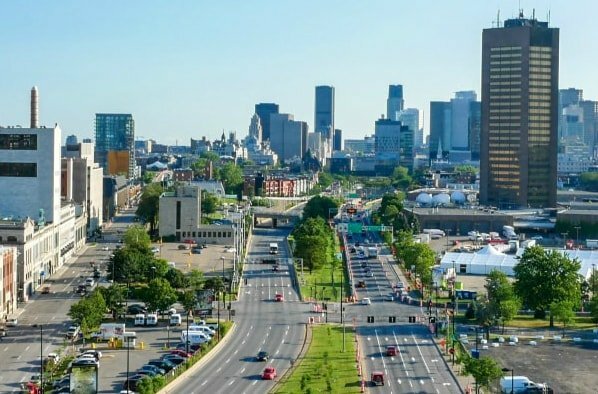 Carsharing is increasingly popular in cities across Canada, including Montreal (pictured here). Canadian cities and neighbourhoods are generally bike-friendly, but certain factors may make you reluctant to become the owner of a bicycle soon after arrival. For example, you may not have the space to store a bike, or you’re saving for a particular model, or perhaps the weather is a factor and you only plan to bike for a few months of the year. Temporary work agencies link employers with workers. Agencies are private companies that make revenue by charging the company for whom it has found appropriate workers, or by taking a percentage of workers’ pay. Some agencies focus on specific industries, while other agencies are more general. Far from being the refuge of artists and the self-employed, temp agencies have become more ubiquitous as an increasing number of workers balance the realities of an economy that may be growing, but which also provides less long-term security for a growing share of the workforce. For newcomers to Canada, short-term contract work may allow you to try out new jobs while you build new skills, gain experience, and create new professional connections on arrival in Canada. Having an employment agency – or better still, a range of agencies – looking for your next contract can also save you valuable time in between jobs. Temp agencies and being imaginative can help you get started on arrival in Canada. Networking and showing value will then increase your chances of a successful career here. Job seekers in Canada do not pay to find jobs, as recruiters do not (and cannot) take any part of your salary. This is just one of the ways they are different to the temp agencies described above. Recruiters make their income from their clients (companies) when a candidate they recommend for a position becomes employed. Working with a recruiter essentially turbocharges your job search for free. While some larger recruitment agencies work broadly across the job market, forwarding and placing candidates across a range of industries, other recruiters focus on specific areas of the job market. Since registering in 2012, Moving2Canada’s recruitment arm, Outpost Recruitment, has quickly established itself as a boutique recruitment agency that can bring value to job seekers and Canadian employers in the construction and engineering industries. For construction and engineering jobs, visit our Outpost Recruitment agency and view the latest open positions. We've got the perfect job for new arrivals in Canada. Building your career in Canada may take longer than expected. Depending on your chosen path, there may be hurdles in getting your non-Canadian accreditation recognized, or you may just need time to network, build contacts, win interviews, and generally improve your job hunting skills. Throughout this time, it is important not to lose heart. It is also important to have an income, especially if you have extra mouths to feed. A different job title does not mean you have suddenly become inferior or lower-ranked. And even if you are suddenly a junior again, so what? You worked yourself up before, so why not again? Some job titles have a different interpretation and outcome in Canada compared to locations abroad. Take, for example, client-facing roles in the food and beverage industry such as bartending and serving. Throughout much of Europe, hourly wages for these positions are decent, but extra income from tips typically only adds a little extra, or nothing. In Canada, bartenders and servers who approach their job diligently and know their products well can expect to receive generous tips from satisfied customers. It’s simply a cultural difference. Many “white collar” workers have come to Canada with resumes full of skilled employment before working in a transitional non-career-related role for up to a couple of years (though often less), and ultimately made their move to Canada a success. You can do this too. The important thing is to use your spare time wisely by improving your skills and networking so that you can take full advantage of career opportunities when they arise. Get the help you need with the Moving2Canada Employment Services. We’ll coach you to create a perfect resume, win interviews and communicate better with hiring managers. Some newcomers to Canada love prepaid phone plans. With no contract, no credit check, and the ability to switch plans or carriers completely, whenever you want, going the prepaid route may be the right option for you. You pre-pay, typically for the month, then you pre-pay again until you no longer wish to use the plan anymore. You still have access to quality streaming and coverage at your fingertips, and there is effectively no difference in the mobile experience between the postpaid (contract) and prepaid options. Sure, you won’t be able to avail immediately of contract incentives that may include a new device, but here’s the thing: you can sign up for that offer (or a better one, when it comes along) at a time when you are comfortable, whether that comfort derives from your financial position, longer-term immigration status in Canada, or whatever else. Having internet service at home is pretty much a no-brainer in this modern world. However, signing up for a contract may have consequences, especially if you want to move house or apartment or cancel for whatever reason. By not having a contract, you aren’t locked into a long-term deal while you shop around for deals. So, you’ve landed in Canada having stuffed your life into a couple of suitcases or, for those driving up from south of the border, into the back of a car. You may have a couple of additional belongings being shipped to your new home city. Where are you going to put it all? This concern is particularly acute for those in temporary accommodation, such as an Airbnb listing or sublet (outlined above), because you can’t (or at least, shouldn’t) fill your temporary accommodation with excessive amounts of personal items, especially if they are of they are large and bulky. This is where a local, affordable and secure storage facility comes in handy. We recommend FindStorageFast for exactly this purpose. FindStorageFast is the world’s largest online marketplace for self storage. They have partnered with over 15,000 trusted storage facilities across North America to bring you the lowest prices at the best facilities. They show all the best deals and prices in every city across the country, so regardless of what you are storing, FindStorageFast can help you find a storage unit in minutes. Whether it’s an independent gym, fitness centre or yoga studio, or part of a chain, you can bet that they will tailor their new customer offers to entice you into a long-term commitment. This may come in the form of a significant discount for signing up for a year. However, remember this: the same offer will still be available in a few weeks, and if it’s not, a very similar offer will be available instead. This gives you, the newcomer to town, a chance to sample a few competitors before delving deep into your wallet. Many gyms allow potential new customers to sample their offering for an hour or so. If you are lucky enough to live in a location that has a range of chains and independent gyms, you could visit a few different gyms and find out which one is right for you. Access to secure, affordable storage is important for newcomers to Canada who want to bring large items such as a bicycle. Then when spring arrives you can go exploring, just like this woman relaxing near Quebec City. Visit the Moving2Canada Jobs Board to view open positions across a range of industries. If you have not yet sorted out your route to Canadian immigration, use our How to immigrate to Canada guide. You can start your job search before you arrive and use your first few weeks in Canada to improve the process. Our step-by-step guide on finding work in Canada will help. You may want to transfer money internationally on arrival in Canada. Make sure you visit our international money transfers page to get the best deal. Discover your options for setting up a bank account in Canada.